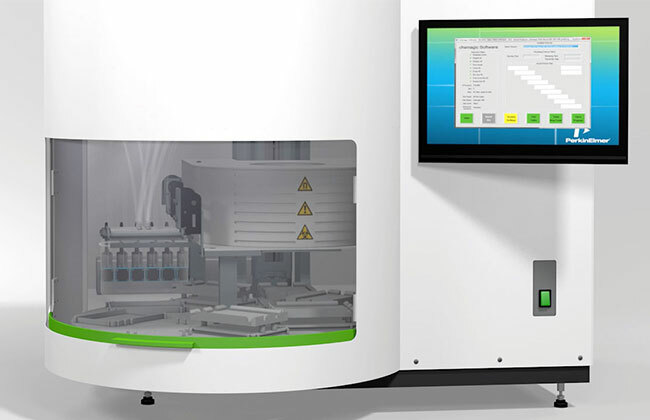 The PerkinElmer workflows for medium-throughput DNA and RNA purification from saliva samples are designed to meet the needs of laboratories requiring the isolation of nucleic acids from tens to a hundred samples per day, with the possibility of quickly scaling up to over 150 samples. Depending on the needs of your lab, PerkinElmer solution can include the automated transfer of primary samples to plates compatible with the nucleic acid extraction unit and optional automated PCR setup to streamline sample analysis. 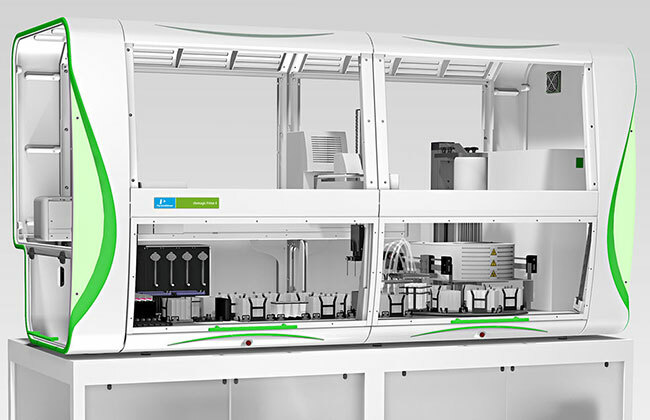 Based on the combination of dedicated instruments and chemagen's proprietary M-PVA Magnetic Bead technology, PerkinElmer medium-throughput DNA and RNA purification workflows ensure the efficient isolation of high yields of ultra-pure nucleic acids. Sample barcoding and software compatibility with all major LIMSs ensure full sample traceability throughout the entire procedure.